Last year (2008) was the first time when Kallol of NJ started their online pre-registration process and it caused quite a bit of furor amongst the Kallol regulars who failed to register early. The registration window was closed as soon as the guest count limit was reached and that left many people with a bad taste. Some people were able to get in at the last moment (I don’t know how) but several people had to go back. I think Kallol needs to do something about this. 1. People who want to attend only on a specific day at Kallol can do so. They do not have to be tied to Kallol puja for all three days. 2. Many people (including non Bengali speaking) would like to come to the Puja to watch their children or other family members perform in a show on a particular day. It would be unfair to charge the full 3 day registration from them. Even if they purchase the 3 day package and come only for one evening, Kallol will lose out a spot for the other three days. 3. The daily tickets (which from our past experience can be expected to be sold out) will fetch more revenue for Kallol than 3-day registrations. This is a win-win situation. These are my humble suggestions to the committee for consideration. However, other organizations can also follow this process. 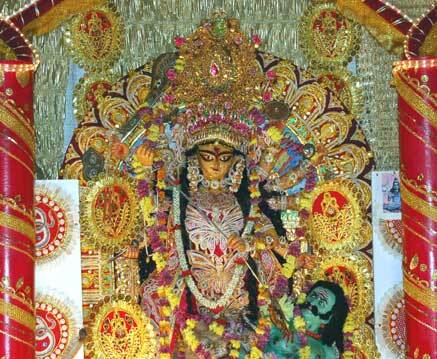 I hope the 2009 Puja festivals will bring in joy and happiness for all. I am looking forward to it, just like any other Bengali. This entry was posted in Generic, Social and tagged anandamandir, Bengali, expectation, festival, GSCA, Kallol, online, price, Puja, registrants, Registration, ticket by sudipta. Bookmark the permalink. I agree withthat suggestion because it gives everyone a chance to see our beloved Durga Maa, especially for those who love to go to a different venue for those two and0or three days. This is going to be my first Durga Puja since my divorce and my daughter’s very first one and I am so happy and I look forward to it.